When you think of all of the devices that are connected in your home now, it is amazing. We now connect multiple mobile phone, tablets, TVs, i-whatever devices, media servers, music servers, security systems, camera systems, watches, ovens (yes ovens and many other appliances) to name a few. All of these devices are looking for their own way to the Internet. If you are like many others, the easiest way to just plug in your wireless password and set it up. 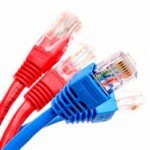 What you may not realize is that your weakest link may be your inexpensive router/modem/access point. Think about it. You pay dearly for Internet access each month, but if all of these devices are routed through older technology you most likely have quite the bottleneck. With networking as our backbone, we at Thunder Audio Video will help to steer you to the right foundation for a safe, secure and stable network. We utilize commercial equipment that is optimized for connecting many devices that demand speed and a strong signal. Further, these devices have upgraded security for greater protection of your home network. Every home is different and needs the right properties set for optimal performance. With our tools, we are able to scan the appropriate channels to help ensure you have the strongest possible signal inside and outside your home. Give us a call. We will be happy to come show you how a solid foundation really works.